The California Invention Center (CIC) was created by Lawrence Udell in August 1995 through a grant provided by the National Institute of Standards & Technology (NIST) in collaboration with the Office of Energy Related Inventions of the U.S. Department of Energy (DOE) in collaboration with the U.S. Patent & Trademark Office (USPTO). It is the only “Invention Center” in America co-sponsored by the government, industry, and academia. It provides a focus on the process of invention as the key element in technology dispersion. The CIC activities are designed to encourage and facilitate creative individuals to draw on new and existing technologies to address societal needs and economic opportunities. 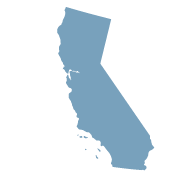 To stimulate basic invention throughout the State of California and the United States. To assist in the education of inventors, for both technical and commercialization of new ideas. To provide linkage between inventors and resource centers. To develop and implement education mechanisms to improve individual capabilities. To identify and characterize inventors in a positive light to all forms of media. To promote the importance and desirability of inventing as either a profession or an avocation. To research and develop education curriculum and programs focused on the needs of inventors. To increase the degree of success that inventors have in the State of California and beyond. To work with the public and private sectors for enhancing investment in new opportunities. To initiate debates and examinations of issues relative to technological creativity. To provide inventor workshops and meetings for cross-pollination of creative individuals through activities and outreach. To produce invention/ new product exhibitions. I.e. “The World of Tomorrow” (1984) at the California State Fair had an attendance of 500,000 in eighteen days. “Invention-Future Products Pavilion” (May 1997) at the Moscone Center in San Francisco had an attendance of 6,000 in two days. Special consultant to the 1986 California State Fair for the creation of “Imagination ’86,” a cross-section of California new technology, viewed by one million people. Also created and managed “Technomania- Step into Tomorrow” at the 1995 State Fair, which was visited by over 700,000 people. The CIC created the “First-In-America” University Certificate Course in May of 1996 which covered twelve critical subjects in 36 hours. The CIC worked with several Fortune 500 companies for review of new invention/products through the CIC Idea Evaluation Service (IES). Gained national recognition with articles in the Small Business Administration annual magazine and the Costco Connection magazine, both which has a distribution of over 3 million.